Brand discovery to brand development and then on to secure design is a strong path to take when building and protecting a business. Brand discovery to brand development. A line by line of pieces and parts of the puzzle. When you educate, build and protect your business the right way, with the right steps and the right organization and operation in place, the chances success, profit and sustainability dramatically improve. The finances to the business filings and The compliance to the content being used to promote. Brand Discovery is before Brand Development! Put another way, we look into these pieces. Through this first stage, we are able to save hundreds of thousands that most companies spend during brand development as they continually change things around. With that, when ready these elements can be built and put into place. The foundation allows for all aspects of the brand to be secured, clean, concise and clear for all parties. Time And Money Saving Execution Tactics. In the end, this sets up the structure for the moment but also for all elements to be added to it down the line. 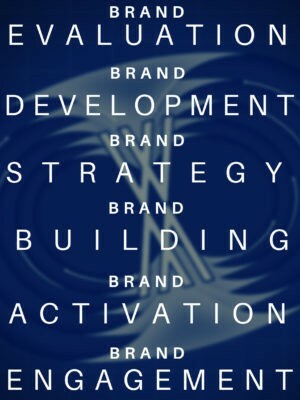 The brand discovery to brand development phases allow for the most secure structure to build off of. It is more than a logo, a look, or an ad budget. When a brand is built from both the creative and the analytical simultaneously, the brand penetrates faster, more effectively and with greater security for conversions to profits for investors, creators and customers. This is also a step to take prior to marketing! These steps of organization, alignment, message clarity for investors, customers, media, fans and even foes will make marketing that much more affordable and take that much less effort. Not all content that will connect you will be from your website or your social media. Preparing the root messaging to fall under Secondary Website and social media branches can allow for an indirect reach. The first set of additional sites point to your brand. The second set of addition sites point to the brand content but never sell, still guiding people to you. The logo is more than just a look and a color. Setting the logo for adaptions and readily available to have clear. It is more than a logo design, it is looking at similar or parallel companies to ensure your design is not overly mistaken or is easy to capture online control of. Coming soon systems for optimization. This is all done before the website, to make the website build that much faster and affordable. Grabbing up TDLs is more than just a simple .com especially for the primary brand. Securing a greater expansion as well as some misspellings and even titles of product or service names, this is insurance for online and off that fewer people can pretend to be you. The same goes for emails. While you might not need a yahoo or gmail address, securing all of those with your brand and your lead name, keeps others from using it or pretending to be mistaken for you. This is a massive list and many hundreds of hours, but to chip away at the crucial pieces in the right and individualized order for each business or product, every step after becomes easier. These aspects are used effectively for the start up as much as they are for the established that wants to compound and reinforce a message as they grow. Each step is taken strategically, effectively, productively and in a calculated way to ensure the information, content and result will help to form the most sound and solid foundation for all elements old and new and not even thought of yet, to grow naturally and with messaging that is authentic.